The latest headline from Scarlet Magazine—“The Bold Type” returns for season three on TUESDAY, APRIL 9, at 8:00 p.m. EST/PST. Picking up right after the heartbreak, romance and uncertainty from the season two finale in Paris, “The Bold Type” is back in New York City where Jane, Kat and Sutton are all dealing with the aftermath of some major decisions. Meanwhile, Scarlet Magazine is undergoing some changes, with new staffers brought on board who bound to ruffle some feathers. Throughout season three, the trio will continue to push the boundaries of what it means to be young women juggling careers and love lives while embracing their identities. The series also continues to explore important issues, both political and personal, such as workplace harassment, female reproductive rights, data hacking and racial profiling, among others. 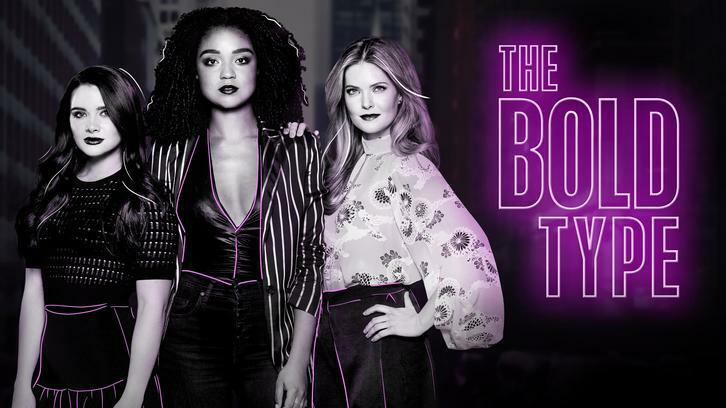 “The Bold Type” stars Katie Stevens, Aisha Dee, Meghann Fahy, Sam Page, Matt Ward, Stephen Conrad Moore, Nikohl Boosheri and Melora Hardin as Jacqueline Carlyle. Season three of “The Bold Type” is executive produced by Amanda Lasher, Joanna Coles, Ruben Fleischer, David Bernad, Matt McGuinness, Becky Hartman Edwards and Victor Nelli Jr. Holly Whidden serves as co-executive producer. The series is a co-production between Freeform and Universal Television.